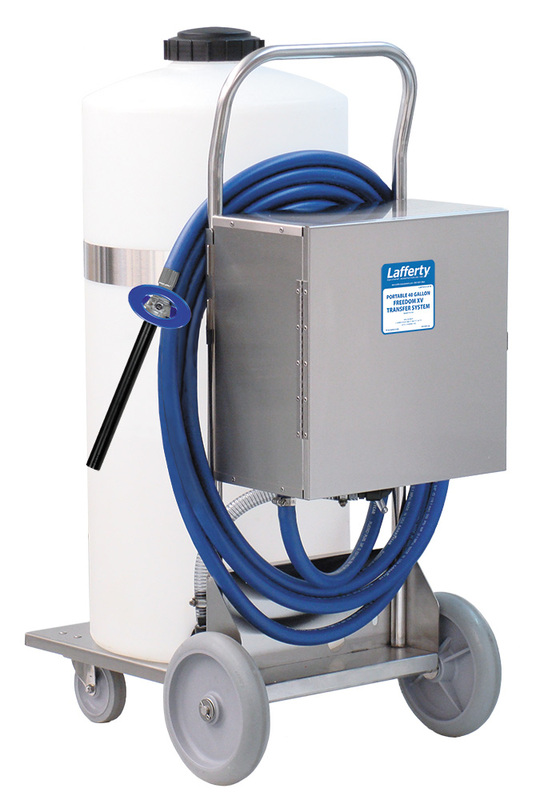 Portable 40 Gallon Freedom XV Transfer System | Lafferty Equipment Manufacturing, Inc. The Portable 40 Gallon Freedom XV Transfer System is a high volume chemical transfer system that will transport chemical on an all stainless steel cart assembly and dispense into any sized container using an open flow wand. This unit uses compressed air to power a 1/2 inch air pump which draws chemical from the 40 gallon tank and projects it through the 25 foot discharge hose, ball valve and extended wand.